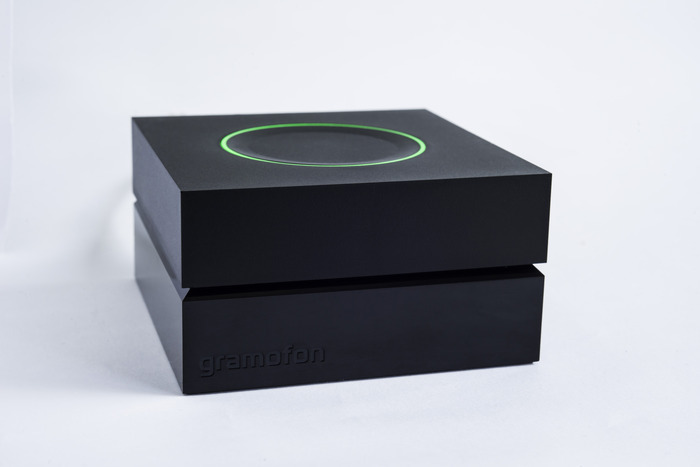 Today, crowd-sourced Wifi network operator Fon launches its rumoured new product, the Gramofon. But unusually for a large tech company with healthy revenues, it’s launched the product with 30-day crowd-funding campaign on Kickstarter at a discounted price, starting at $30. 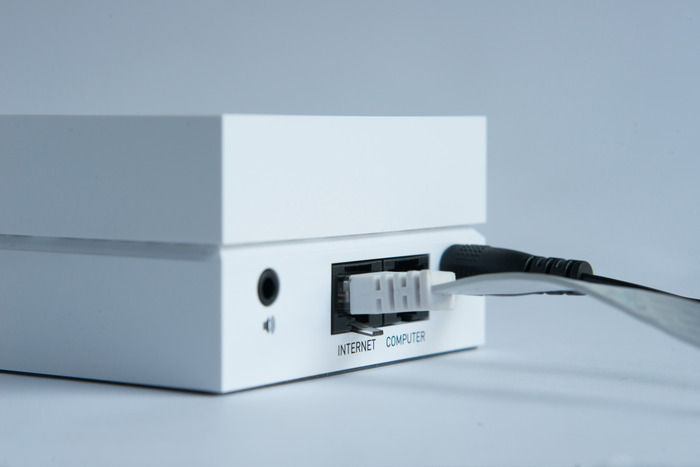 This device offers simple Fon-like Wi-Fi sharing functionality after you log in via Facebook, an audio out to speakers (no internal speaker) and an in-built Spotify app. What is it? Well, it’s the rumored social music router they’ve been building and Martin Varsavsky, founder and CEO of Fon, thinks its going to be a game-changer both in the market and for the company, which also happens to be the world’s biggest wifi network. He says they started by building prototypes out of open source hardware and open source software like the Raspberry Pi, with a small team in New York. They’ve now locked their first production run for 6,500 units, set to ship in July, but more are planned if this takes off. Eventially the Gramofon will have an API so it can integrate any music service with Gramofon and can support as many different providers as possible. It comes with WahWah built in, this is a free radio service that works with Gramofon (the service will start in the USA, Spain and Brazil, and expand over time). You connect your Gramofon to the sound system or speakers of your choice. Then connect it to the Internet via ethernet or on your current WiFi. Then you connect any Android or iOS phone to the Gramofon’s WiFi signal and plug in any speaker. Thus, yo can now stream Spotify or listen to the Gramofon free radio service powered by WahWah. 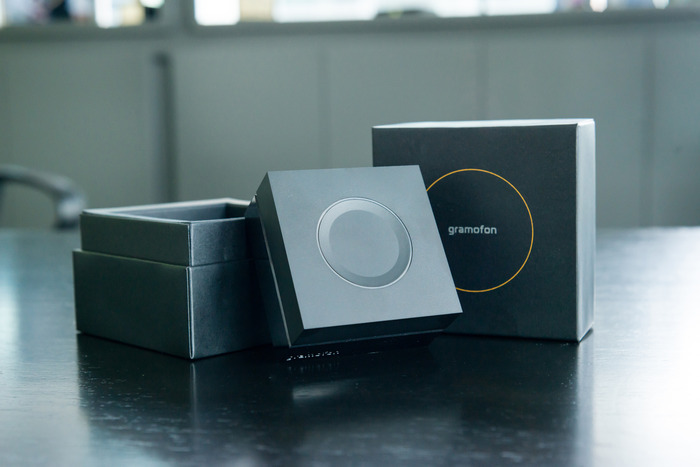 Unsurprisingly Gramofon uses the Qualcomm Atheros AR9341 chipset, following its $14 million investment round in Fon earlier this year. The black square cube features two Ethernet ports, one for connecting to the network and one to connect a PC. 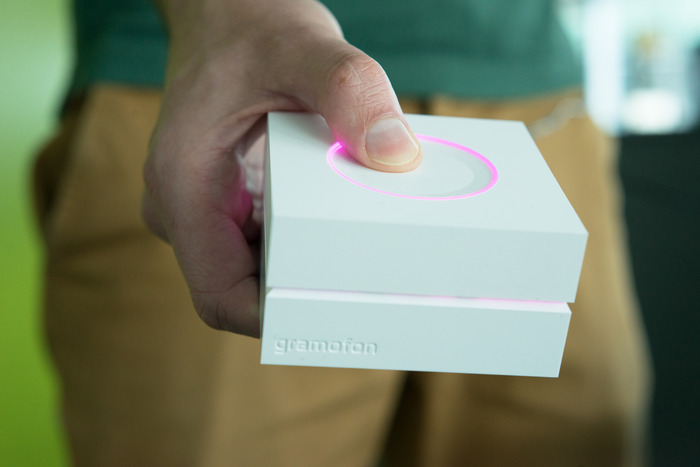 Gramofon works over WiFi not Bluetooth, and allows several users at once. Built with the same core technology as the Fon WiFi routers, is also acts as a WiFi hotspot. So here’s the scenario: When someone visits your house, they simply log-in to the Gramofon WiFi via their Facebook account, and then they can play Spotify through Gramofon using their smartphones as remotes. Any visitor could therefore ‘play the DJ’ and control the music. 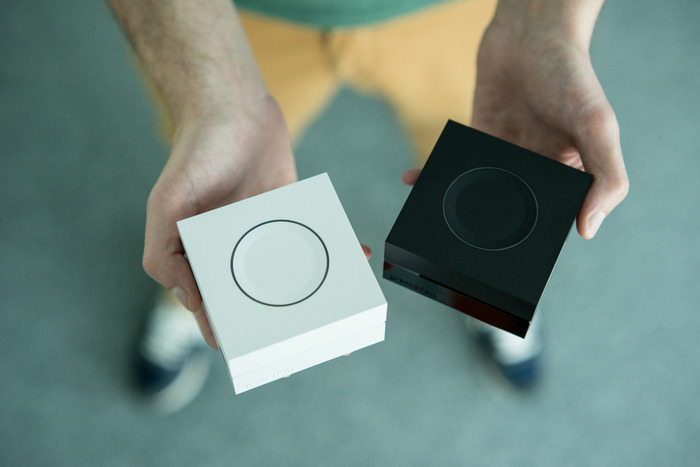 People who pledge to buy a Gramofon via the kick-starter campaign will get Fon membership (meaning access to over 12 million Fon hotspots) in return for sharing their WiFi at home, as is the usual Fon deal. If you’re early you’ll get it in white at $30, or for $40 in black. The remaining units will be offered for $50 and $60 respectively. Other “perks” include getting invited to Gramofon “listening parties around the world”, some of which may feature Varsavsky and celebrities (but you’ll pay around $1,000 for those). But why use Kickstarter? Well, Fon COO Alex Puregger says, it’s because “crowdsourcing is a principle Fon was founded on”. Clearly this will compete with other products like networked speakers from Sonos. But where Sonos must send music around a home with speakers connected to one WiFi Signal, the Gramofon plays music across multiple units so each additional router works as a repeater, thus boosting Wi-Fi coverage across a home. So we have a router that also plays music that also supports a massive music service, and intends to support others. Not a bad combination if you were going to take on both Sonos and other home automation players like Nest and many others. A crucial point of the Gramofon is to “cloud enable” your existing sound system. Given that it can connect to music speakers via 3.5mm audio or RCA output, you could say this is a sort of ‘Apple TV for your sound system’. It means of course that those great speakers you have from an old Hi-Fi system don’t need to be replaced by Bluetooth or wireless speakers after all. Could Spotify be Fon’s trojan horse into the home? Maybe. But a spokesperson poured cold water on my view that this might be a route into a home automation as they believe the music implementation is alluring enough as it is. Given the Fon people call this their “most important product since the first Fonera” they are clearly hoping this will be a trojan horse at least for Fon’s WiF service itself.